FC Barcelona earned another important three points on Sunday at Eibar (4-0) as the pursuit of top spot continues. 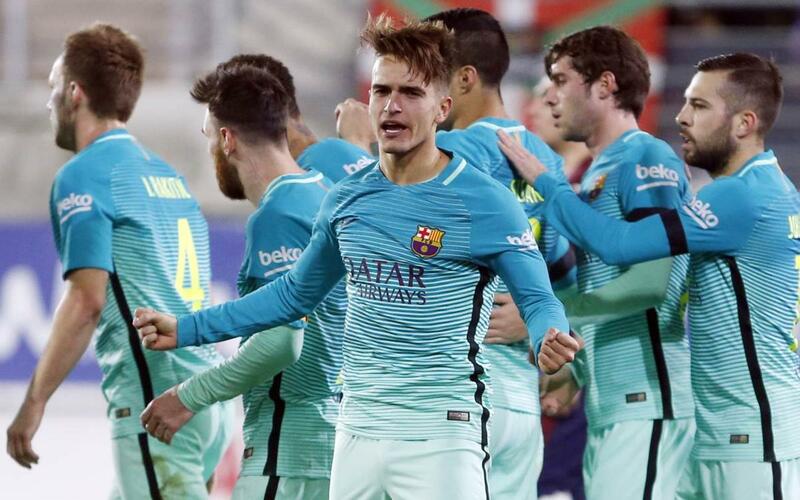 The scorer of the game’s first goal was Denis Suárez, his first senior strike for the club, and the midfielder was happy with the day’s work. “We have achieved a win which keeps up the pressure on those ahead of us,” said the 23-year-old in reference to second-placed Sevilla and leaders Real Madrid, whom Barça trail by one and two points respectively. A downer on the win was the early injury to Sergio Busquets, which Denis noted: “We hope that Sergio is ok, he is a very important player”. "The important thing is that we can help the team with whatever, either assists or goals."